Dr. Lance H. Brown and Dr. Adele D. Haimovic are board-certified New York City dermatologists with a centrally located downtown Manhattan office at the convergence of Chelsea, Union Square, Greenwich Village and the Flatiron. Recognized by New York Magazine as one of the city's Best Doctors in 2016 and 2017, Dr. Lance H. Brown is a leading dermatologist with private practices in Manhattan and East Hampton. Dr. Brown is also an educator, currently training resident physicians as Clinical Assistant Professor of Dermatology at New York University School of Medicine. While pursuing his medical degree at NYU, Dr. Brown was elected to the Alpha Omega Alpha Medical Honor Society. He subsequently completed his internship in Internal Medicine at Yale University and continued on to the University of Miami Department of Dermatology and Cutaneous Surgery, where he excelled in both cosmetic procedures and skin cancer treatment, earning its Excellence in Skin Surgery award. Today, Dr. Brown is one of the nation’s foremost experts in Mohs’ Micrographic Surgery, a precise technique for removing skin cancers while preserving the surrounding healthy tissues. Especially appropriate for excising lesions from the face and neck, Mohs’ surgery also promotes the highest cure rate, offering Dr. Brown’s patients both an optimal cosmetic outcome and the least likelihood of recurrence. Adele D. Haimovic, MD is a board-certified Dermatologist and fellowship-trained Dermatologic Surgeon who specializes in surgical, cosmetic, and medical dermatology. She is clinical associate professor of dermatology at New York University Langone Medical Center. After graduating from the University of Pennsylvania, Dr. Haimovic earned her medical degree at New York University School of Medicine where she was awarded the Eleanor Mayer Master Scholars Humanism Award. Dr. Haimovic then went on to complete her internship and dermatology residency at New York University Langone Medical Center where she served as chief resident. Dr. Haimovic received advanced fellowship training in both dermatologic surgery and cosmetic dermatology at the prestigious SkinCare Physicians in Massachusetts where she trained under internationally recognized leaders in dermatology. At SkinCare Physicians she completed a fellowship in Mohs Micrographic Surgery for skin cancer and facial reconstruction as well as an American Society for Dermatologic Surgery fellowship in cosmetic dermatology, including injectables and laser procedures. Dr. Haimovic has experience as a clinical research trial investigator and has been involved in research at the forefront of cosmetic dermatology. She has co-authored numerous book chapters and scientific papers in peer reviewed journals on cosmetic procedures, dermatologic surgery, and general dermatology. She previously served as the fellow-in-training member on the American College of Mohs Surgery Board of Directors. Dr. Haimovic is a member of the American College of Mohs Surgery, American Academy of Dermatology, American Society for Dermatologic Surgery, American Society for Laser Medicine and Surgery, and the Women’s Dermatologic Society. Book an appointment with Dr. Haimovic with ZocDoc. Our philosophy is to treat the whole patient, not simply a symptom or issue. Dr. Brown and Dr. Haimovic perform every procedure themselves, ensuring outstanding outcomes that promote both the health and aesthetic appearance of their patients' skin. 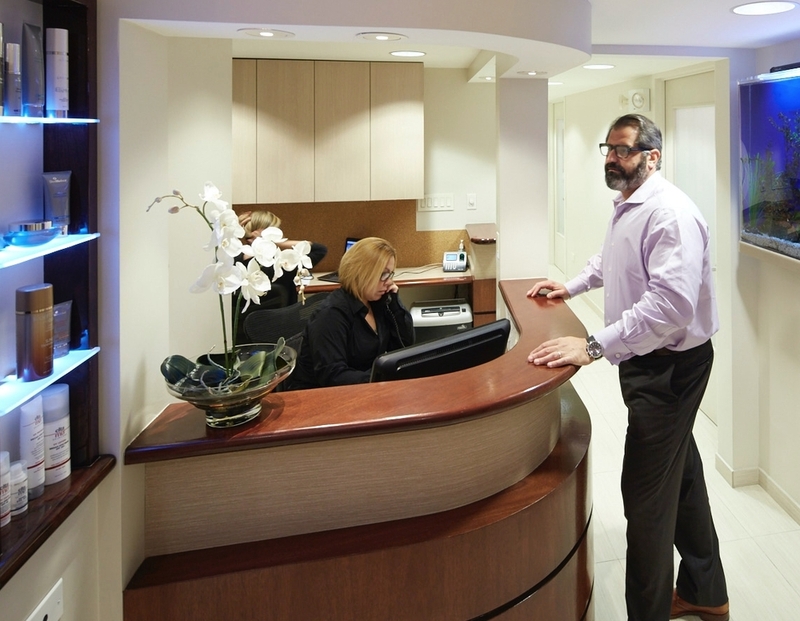 We are committed to providing the highest level of care for our patients, which we are able to achieve in a comfortable and discreet setting in the heart of Downtown Manhattan.